LOS ANGELES (AP) — LL Cool J is host of a TV special that has long spotlighted adoption for kids in foster care. Gwen Stefani, Train and Lukas Graham will perform on the program airing at 8 p.m. Eastern on December 21. A tree-lighting ceremony with a performance by Andy Grammer is part of the special, CBS said Monday. The Moschino designer known for his whimsical collections and theatrical flair threw a big top bash Friday complete with circus performers and a Ferris wheel for the brand's women's resort and menswear collections. "There is like a muscleman lubed up!" said actress Jamie King, eyeing a pre-show performer in animal print briefs. "It's very Moschino." Bebe Rexha's debut album is inspired by No Doubt and Alanis Morissette. The 'I Got You' hitmaker has opted for a stripped back "honest and raw" sound on her debut LP, 'Expectations', that is influenced by the likes of the Gwen Stefani-fronted group and the 'Ironic' hitmaker. Speaking to Billboard magazine, she said: "There's different sides of me and what I love. Add Gwen Stefani to the list of musicians doing a residency in Las Vegas. Caesars Entertainment says the singer will launch a series of regularly scheduled shows at Planet Hollywood starting in June. The hollaback girl in a statement says having a show in Las Vegas is "an incredible honor." She says growing up in Anaheim, California, she could never have imagined one day having her own residency. Gwen Stefani has announced her Las Vegas residency 'Just A Girl'. The No Doubt frontwoman - who has sons Kingston, 11, Zuma, nine, and Apollo, four, with ex-husband Gavin Rossdale - will perform 25 shows in 2018 at Zappos Theater at the Planet Hollywood Resort & Casino in Sin City, kicking off on June 27. LAS VEGAS (AP) — Gwen Stefani is the latest superstar to ink a deal for a series of regularly scheduled shows in Las Vegas. Caesars Entertainment on Tuesday announced Stefani will kick off a residency at the Planet Hollywood casino-resort in June. The Voice stars Blake Shelton and Gwen Stefani went shopping in downtown Greensboro on Saturday while they were in town for Blake's concert at the Greensboro Coliseum. According to WFMY, the two famous singers, who are also a couple, stopped at the Wrangler Pop-Up Shop, which closes Sunday. Several North Carolina singers have been featured on The Voice in the past year, including Brooke Simpson of Hollister and 2018 contestants Britton Buchanan from Sanford and Molly Stevens from Raleigh. Gwen Stefani getting Las Vegas residency? Gwen Stefani is reportedly "very close" to finalising a Las Vegas residency deal. The 48-year-old singer took a trip to the Nevada city over the weekend, where it is believed she entered "inside negotiations" to put the finishing touches on a deal which will see her take up a residency at the Zappos Theater inside Planet Hollywood. A source said: "Her visit to Las Vegas this weekend was one of the final pieces of the puzzle. Things are looking very good." 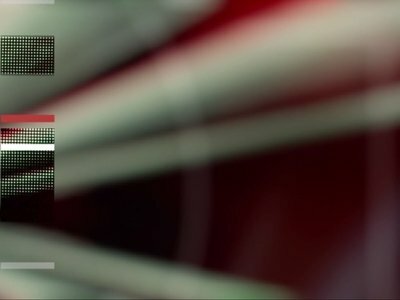 MINNEAPOLIS (AP) — A traveling nightclub that was built to hold VIP events during the Super Bowl is suing a Minnesota tribe for breach of contract. Earlier this month, a company owned by the Shakopee Mdewakanton Sioux Community abruptly canceled events at Club Nomadic, a building that was constructed in a parking lot at Mystic Lake Casino Hotel and was nearly finished. Instead concerts by Gwen Stefani, Florida Georgia Line and others were moved inside the casino. MINNEAPOLIS (AP) — Pink is joining the list of stars performing in Minneapolis during Super Bowl week. What is it about Christmas that makes everyone want to sing? It might have something to do with all those carols that follow us around from store to store, lobby to lobby, elevator to elevator, radio station to radio station, waiting room to waiting room … no matter where we end up, the Christmas carols haunt us from about the day after Thanksgiving until New Year’s Eve. Maybe that’s why celebs line up for their turn at the televised mic this time of year. LOS ANGELES (AP) — Welcome back, Donner and Blitzen! And thanks for bringing along Gwen Stefani, Tariji P. Henson and "Love Actually" to a holiday TV lineup that mixes the familiar and the fresh. We want "Rudolph the Red-Nosed Reindeer" and "It's a Wonderful Life" again, for the pleasure and the memories they summon. But no complaints if the punch is spiked with new music specials, comedy and original movies. The country music superstar and coach on NBC's "The Voice" hates being the center of attention, the magazine says. NEW YORK (AP) — People magazine named Blake Shelton its Sexiest Man Alive for 2017 on Tuesday, but it took some convincing by his girlfriend Gwen Stefani to get her guy on board. The country music superstar and coach on NBC's "The Voice" hates being the center of attention, the magazine said. NEW YORK (AP) — Musician and actress Eve has been unveiled as a new permanent host of CBS' "The Talk," joining Julie Chen, Sara Gilbert, Sharon Osbourne and Sheryl Underwood. Eve, whose full name is Eve Jeffers Cooper, replaces Aisha Tyler on the show. The Grammy winner is best known for her hit "Let Me Blow Ya Mind," a duet with Gwen Stefani, her TV sitcom "Eve" and appearances in the "Barbershop" films. NEW YORK (AP) — Jennifer Lopez and Alex Rodriguez have raised $26 million for Puerto Rico disaster relief, with another $9 million raised by a benefit show. The two hosted "One Voice: Somos Live!" on Saturday with Marc Anthony. Lopez says that amid "swirling negativity dividing our country," the outpouring of support for Puerto Rico following the devastating hurricane was gratifying. Five years after its original release, Blake Shelton’s Cheers, It’s Christmas. is back in a new edition that includes a new album cover and three new songs. In addition to existing collaborations with Reba McEntire, Kelly Clarkson and Michael Buble, the 2017 version of the record adds “Two Step Round the Christmas Tree” and “Christmas Eve” to the set, as well as “Savior’s Shadow,” which originally appeared on Blake’s If I’m Honest album. 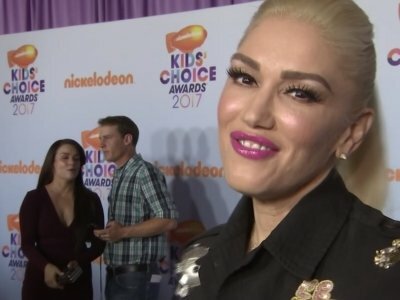 Gwen Stefani's kids don't care about her career. The 47-year-old singer, designer, and 'Voice' coach may seemingly lead a glamorous life but Kingston, 11, Zuma, nine, and three-year-old Apollo - her kids with ex-husband Gavin Rossdale - aren't impressed by her work and never want to be involved. Speaking to reporters at a preview for her L.A.M.B. & gx Eyewear collection, she said: "When you're a mom, they don't want to know anything about what you do. It's all about them, and that's their job. Blake Shelton took Gwen Stefani and her children on a fishing trip over the weekend. 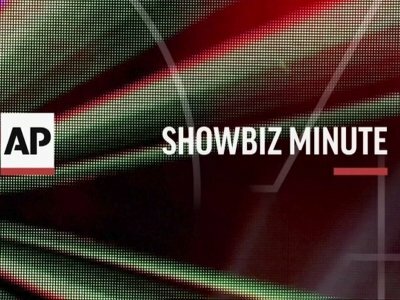 The 41-year-old country singer treated his 47-year-old partner and her sons Kingston, 11, Zuma, eight, Apollo, three - who she has with her ex-husband Gavin Rossdale - to a day out where they tried their hand at reeling in the sea creatures at his ranch in Tishomingo in Oklahoma on Sunday (07.16.17). Gwen Stefani has enjoyed a "lovey-dovey" date with her boyfriend Blake Shelton. The 'Hollaback Girl' hitmaker has been dating the 41-year-old country singer since 2015 after her split from former husband Gavin Rossdale, and when the pair were spotted on a romantic dinner date at Los Angeles hotspot Cecconi's, onlookers couldn't help but note how cute the pair looked. Blake Shelton says things are "really good" between him and Gwen Stefani. The 'Came Here To Forget' hitmaker has been dating the 'Used To Love You' singer for a number of months now and says the pair couldn't be happier together. He told Nashville's The TODAY show: "She's [doing] great. She's sad that 'The Voice' is over, she loves doing the show ... Well, I hope she's good with me! Shania Twain has hailed Blake Shelton a "true gentleman". The 51-year-old singer joined the coaches of US talent show 'The Voice' on Monday (04.24.17) to advise the contestants, and she received a warm welcome from the 40-year-old country star and his fellow panelists. Speaking to 'Entertainment Tonight', the 'Man! I Feel Like A Woman!' hitmaker said: "He is just really sweet and kind. He was very nurturing and caring and welcoming to me ... a true gentleman. Blake Shelton "doesn't blame" people who question why he is with Gwen Stefani. The couple famously fell in love in November 2015, while co-starring on 'The Voice' together, but the 40-year-old country singer admits while he doesn't understand everyone's fascination with their relationship, he can see why they can't understand how he managed to be with the 47-year-old beauty. Gwen Stefani still gets nervous on stage. The 'Used To Love You' hitmaker admits she still finds it tricky stepping up on stage to perform but is able to relax a bit more once the "adrenaline" kicks in. She told Entertainment Tonight: "It's been all these years and I still, when I do live music ... I still get nervous. It's crazy. Anything can happen, you know? It's that adrenaline. Miranda Lambert has thanked her boyfriend Anderson East for being "supportive and kind". The 33-year-old country music star and the 'What Would It Take' musician have been dating for over a year, and the blonde beauty has taken to Instagram to thank him for always being there for her throughout their relationship. Gavin Rossdale is dating German model Sophia Thomalla. The 51-year-old Bush frontman - who has sons, Kingston, 10; Zuma, eight; and Apollo, three, with ex-wife Gwen Stefani and daughter Daisy Lowe, 28, with former fling Pearl Lowe - was spotted kissing the 27-year-old model in London last week. Sophia has appeared on Germany's version of 'Dancing With The Stars' and acted as a judge on 'Dance, Dance, Dance'. 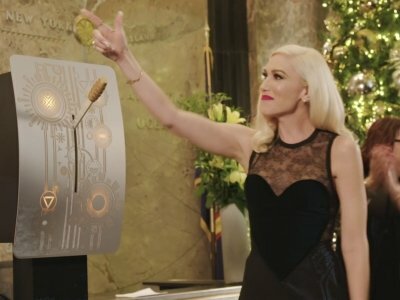 Gwen Stefani was worried that working with Blake Shelton might be "weird". 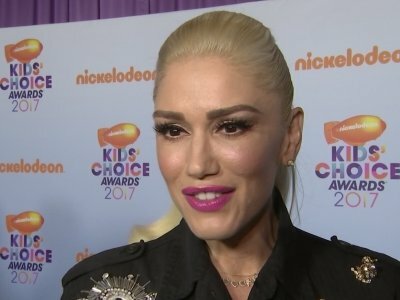 Although the couple met while co-starring on 'The Voice' together, Gwen, 47, admitted to some trepidation about her return to the US TV show this year. She told Entertainment Tonight: "I feel like when we were coming back this season, I was a little nervous. I was like, 'This is going to be weird!' But, you know, the show is so real. All it is, is us just being there and being us. So, it's been really fun. Friends have set Gavin Rossdale up with Elin Nordegren. The Bush frontman has been exchanging text messages with Tiger Woods' former wife, after pals insisted the pair would make the perfect couple. Gavin, 51, told The Sun: "A friend was, like, 'You have to meet Elin. She's amazing.' He was trying to connect us. "So I texted her a couple of times to say hello. She lives in Florida. She's a really great girl. But I've never met her."